We were doing our groceries one time when Jo-Lo borrowed my iPhone and started taking photos. It was a good blog idea so I decided to place some of the photos here. 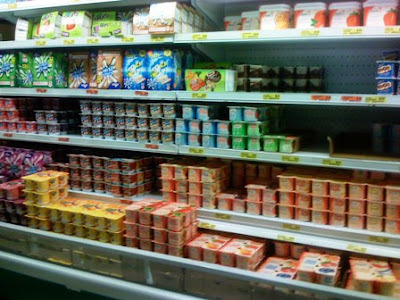 From a general point of view, the supermarket here isn't really that different from those that we have in Manila and Baguio, except that we pay in NZ dollars here. There are, however, noteworthy things we have observed here. 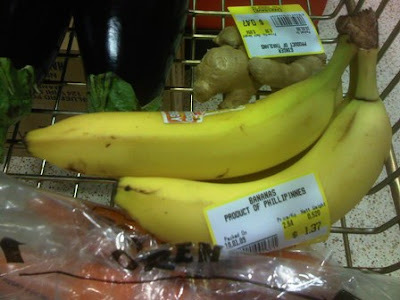 I was delighted the first time I saw produce from the Philippines in the shelves. We export bananas here! That, and Dole canned pineapples. 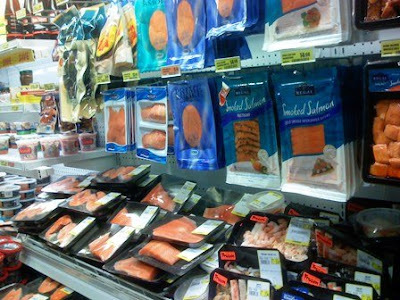 While I have yet to see a huge variety of fish like what we have, there is always salmon available. This is quite expensive in our urban areas but it's quite affordable here. 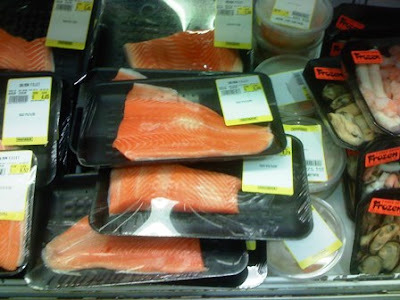 Ummm... have I mentioned that salmon is in abundance here? 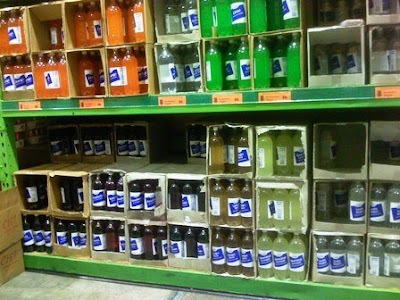 You wouldn't believe the variety of carbonated drinks they have here. They have a homegrown drink called L&P which we incidentally like very much. 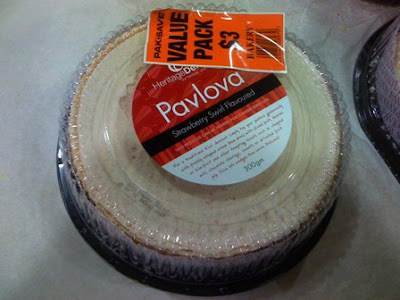 The Pavlova waiting to be bought and decorated. 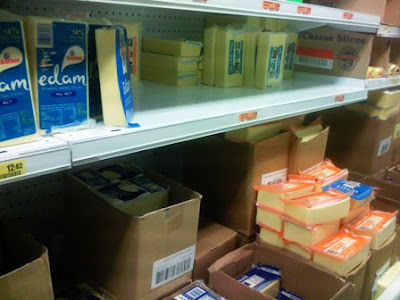 It wasn't a surprise that there's a lot of milk products here. 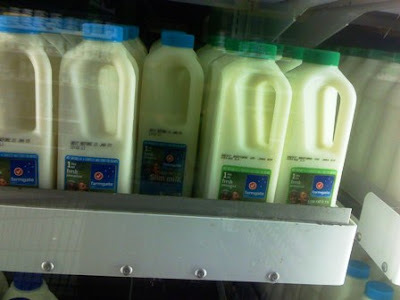 Fresh milk, that is. Powdered milk variety is a lot lesser. Milk here tastes great! ... and cheese! Lots of cheese!